I stamped with a rainbow of colors and then restamped the entire wreath with Versamark ink so I could clear emboss the images. Then I colored in all the elements using Copic markers. I also sprayed the entire wreath with some shimmer spray - because, well - shimmer spray! 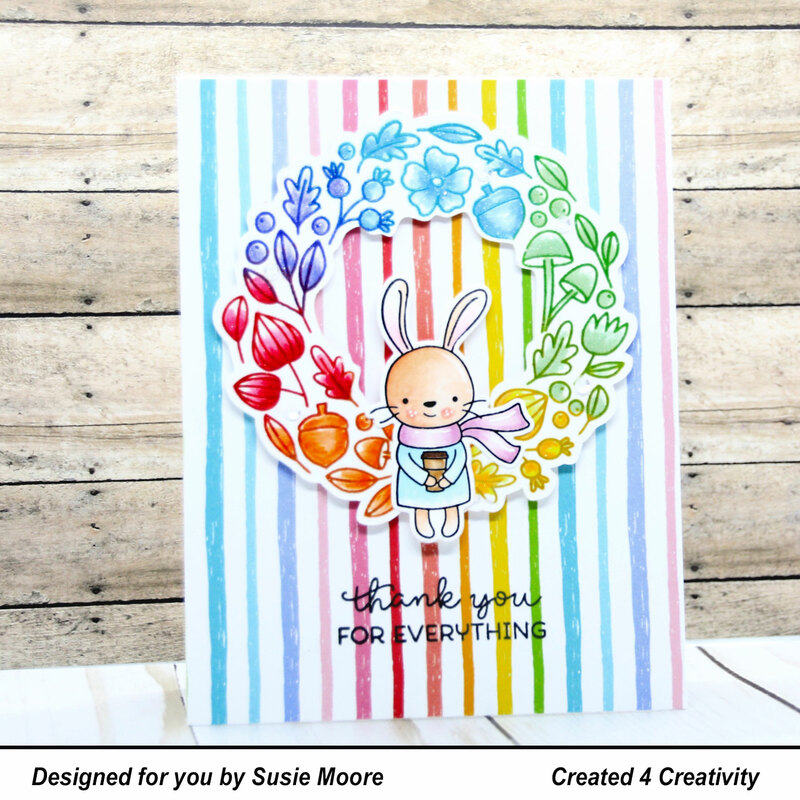 The little bunny and sentiment are from Hello Bluebird. I promised you'd be seeing cute images like this again! I used rainbow paper from Lawn Fawn for my background and I love how it all turned out!